opi smitten with mittens may be a distant memory for some of you, coming out around the holidays last year. however i can't get it out of my head! 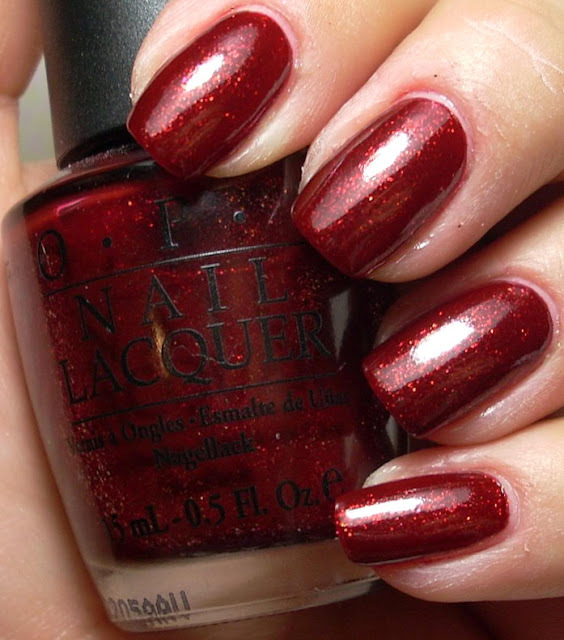 i never did buy it when it was first out, i resisted, thinking it was too similar to polishes i already own, but my sister had it and i kept seeing it popping up on blogs, and i got suuuuch a lemming for it! 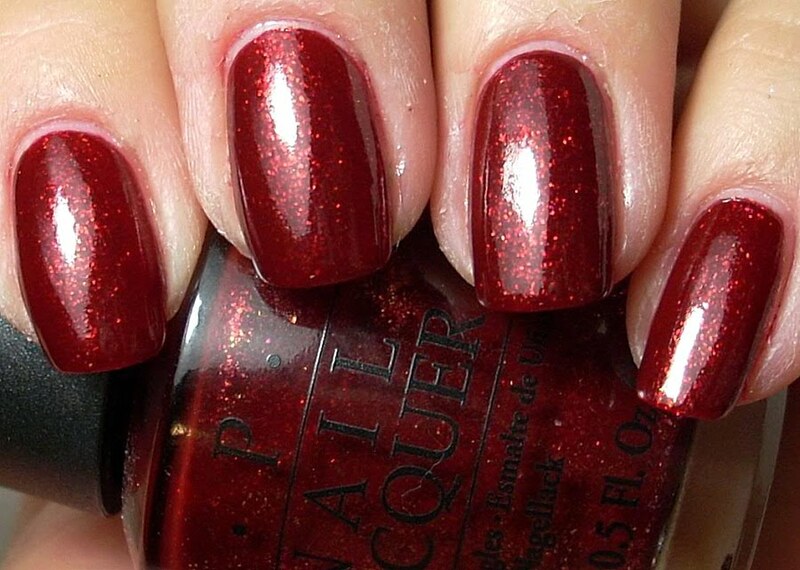 i really, really have deep love for my china glaze ruby pumps, and this looked very similar to me, so i kept fighting the urge to get it. but then i found it in a Smith's Marketplace for $5.99 so of course, being unable to resist a bargain, i had to get it! SwM is a deep red, with a jellyish base (brighter in flash) that is packed full of compact micro glitter/shimmer. 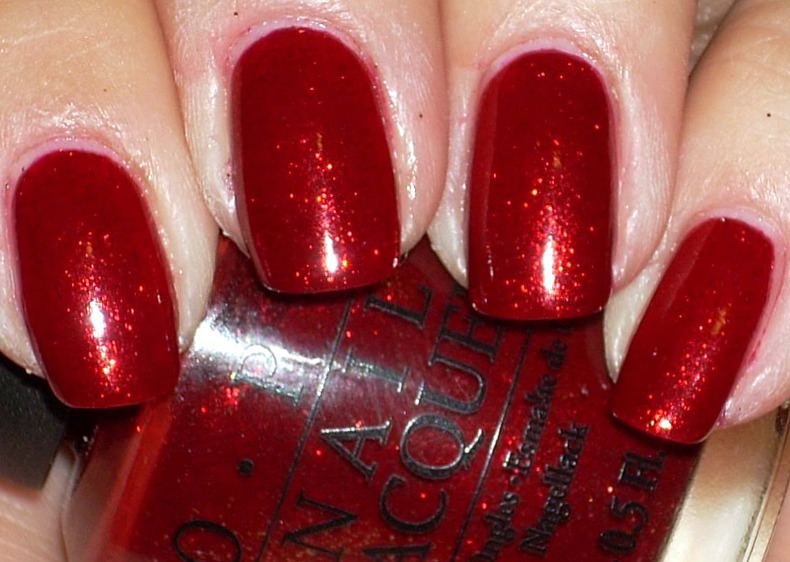 idk what it is about it, but when i had this polish on, i felt so...glamourous! really regal almost! maybe it was the combination of my long nails at the time and a good mood and idk what but i could not stop adoring my mani. i felt a little weird because i was looking at them so much haha, it was seriously getting almost creepy haha! 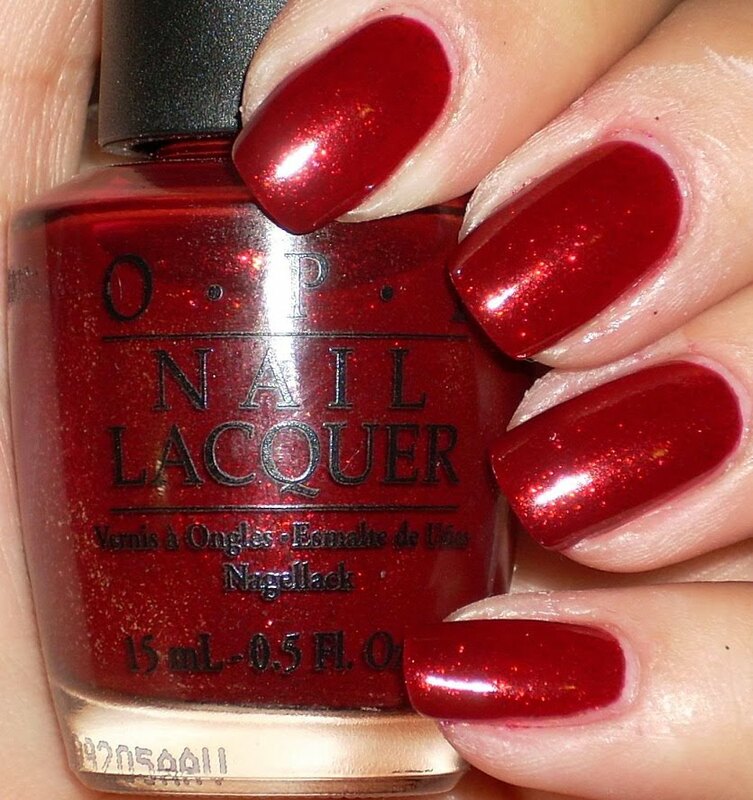 *sigh* even though we haven't hit full force on halloween polishes, i can't wait until we get holiday polishes!